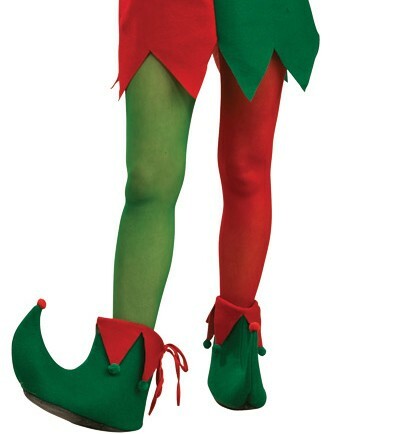 Perfect for elf costumes, these tights have one green leg and one red leg! Includes one pair of Elf Tights. Does not include Costume, Shoes or Hat.